So the validity of the law was attacked unsuccessfully in the courts on the basis that electrocution was "cruel and unusual punishment," and, therefore its adoption was a violation of the United States Constitution. Two years later, assaults on the measure stopped when experiments on animals at the time determined death by such was quick and painless. These circumstances were somewhat similar to the kind of reasoning employed for attacking North Carolina's death penalty in recent years. Although there has been no legislation to end executions in the Tar Heel state, there have been various legal challenges to the state's lethal injection protocol. The Racial Justice Act that passed in 2009 and was repealed in 2013 didn't seek to do away with the death penalty. However, it essentially allowed every death row inmate, regardless of race, to appeal their conviction if racial bias may have played a role in their sentencing. 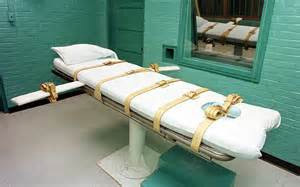 Moreover, in 2007, the North Carolina Medical Board declared physician participation in capital punishment cases violated their professional ethics – a decision blocking doctors from monitoring executions as required by law. And it worked. North Carolina has experienced a defacto moratorium on capital punishment for nine years. But lawmakers in the state's legislature are now saying justice needs to be restored. Wednesday, June 29, state legislators passed a bill that basically allows a medical professional other than a doctor to monitor an execution and eases the restrictions to secure the necessary drugs for an execution, while protecting the confidentiality of the manufacturers willing to provide them. Interestingly, the passage of the bill comes on the heels of a recent 5-4 decision by the United States Supreme Court that said the state of Oklahoma may use the sedative "midazolam" to render inmates unconscious during lethal injection. Oklahoma was unable to obtain the barbiturates traditionally used because pharmaceutical companies were unwilling to sell them for use in capital punishment cases – something else reminiscent of when manufacturers were unwilling to provide supplies for the electric chair. Of course, the North Carolina chapter of the ACLU, as well as other groups in the state, vehemently opposed the measure. 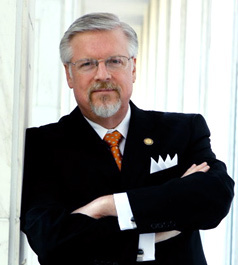 Still, unwilling to be deterred, Rep. Leo Daughtry (R-Johnston), the bill's primary sponsor, was determined to bring his colleagues in line with the truth. If lawmakers wanted to take up a debate on the death penalty and do away with it that was one thing, but if the state has the law it should get back to enforcing it, he said. When Noah and his family came out of the ark, God had just destroyed a wicked and violent era of human history. Man's new start required instructions that would henceforth be for all times. What God said would become the foundation of human government: "And for your lifeblood I will require a reckoning: from every beast I will require it and from man. From his fellow man I will require a reckoning for the life of man. 'Whoever sheds the blood of man, by man shall his blood be shed, for God made man in his own image.'" (Gen. 9:5,6). The word "shed" in that text is from a Hebrew word that refers to blood being spilt in a vicious and unjustified act of homicide. This command of God requires that government as the agent of God must require the life of the guilty one who raises his hand against the very image of the Almighty. The apostle Paul spoke of this same law in the New Testament when in Romans 13 he referred to government's role as "the servant of God, an avenger who carries out God's wrath on the wrong-doer." In this same text, the apostle says civil government "does not bear the sword in vain." The Greek word for "sword" is the same word used in several other verses to speak of an instrument by which people are put to death. The apostle Peter said, "Be subject for the Lord's sake to every human institution, whether it be to the Emperor as supreme, or as governors sent by him to punish those who do evil and to praise those who do good" (I Pet. 2:13,14). The expression translated "to punish" is the same Greek word Paul used for vengeance that belongs to God in Romans 12:19. It's a word from the same root that Paul uses to say civil government's responsibility is to be "an avenger who carries out God's wrath" (Rom. 13:4). Opponents of capital punishment will often rail it's barbaric for the state to exact vengeance. But would they be more compassionate than even God? God has ordered the state to be an avenger in his stead. When a person purposefully seeks to end another person's life or commits a crime equal thereto, the state not only has the right but the duty to take the lives of those who willfully violate the sacredness of life. For the state to act administratively in honor of God's law is far different than an act of personal vengeance, which our Lord prohibits. Even though a strong argument might be made for capital punishment as a deterrent, such reasoning isn't its main purpose. Its primary function is the principle of simple justice. Dr. William H. Baker in "Worthy of Death" has eloquently written: "Retribution is properly a satisfactor or according to the ancient figure of justice and her scales, a restoration of a disturbed equilibrium. As such it is a proper, legitimate and moral concept." For North Carolina to continue tolerating the delay of justice is the same as to deny justice. The state's lawmakers have acted properly in seeking to resume executions.